18 « August « 2008 « She just can't sit still! For my birthday, eczema Brian took to what he dubbed “Fuzz Fest 2008.” It was wonderful! It was very difficult to limit my purchases to fit within my income. There were SO many wonderful things, web and I decided to only buy fibers that I can’t easily find. It really is a wonderful event. So many things to see and touch and pet and dream of owning! 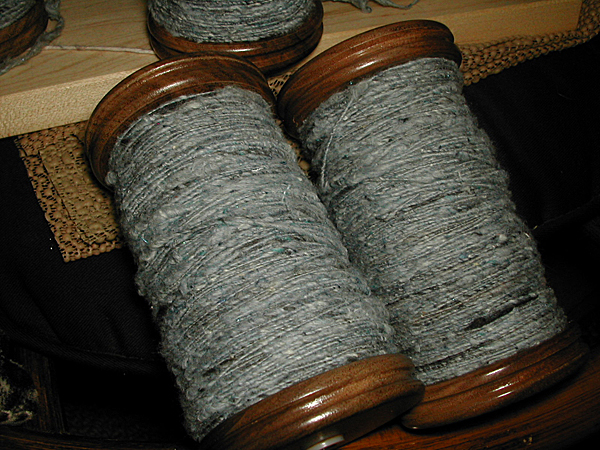 I deliberately got some natural pale color fibers to spin and ply and then hand paint. 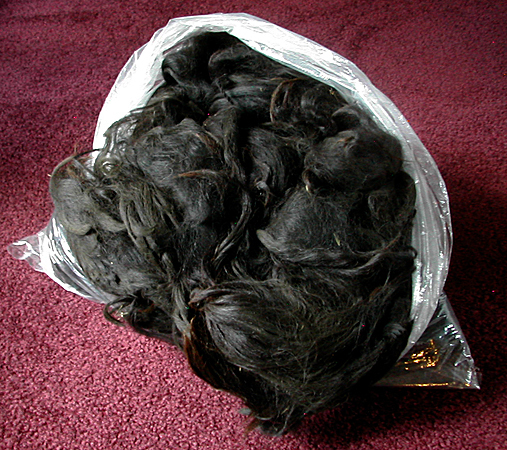 I want to do something with black, olive, and violet, and I already have about a pound of natural cream color Babydoll Southdown, so I’m hoping to do some really neat fiber blends to make it strong, pretty, and soft. 16 oz 70% Merino/30% Tussah Top in the Mckenzie colorway for $36. I hope the photo shows the colors well. It’s very silvery with color stripes of black, cyan, bright green, rose, and purple. It’s super soft. 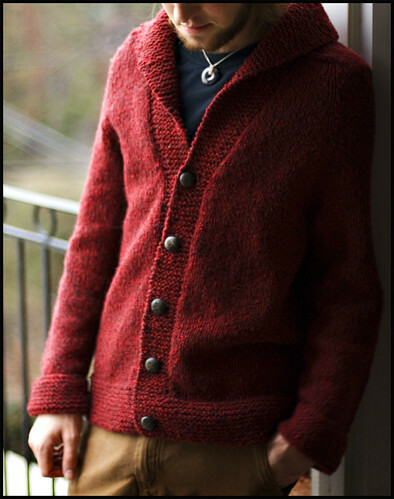 never worn this style, but he likes it and I’m thrilled to make something he wants in colors he’s chosen. 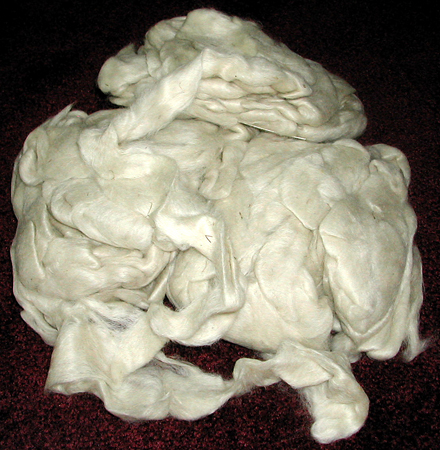 12 oz of creamy Alpaca from an Alpaca named Zen for $24. 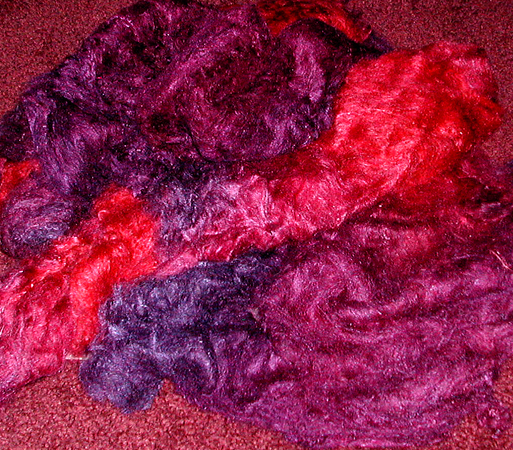 My favorite item from this trip was 2.5 oz of Tussah Silk Lap for $20 in the most exquisite jewel tones from Sapphire to Ruby. I want to spin this and then ply it with some black alpaca. Don’t know what I’ll make from it yet, I may just spin it and lay in it! 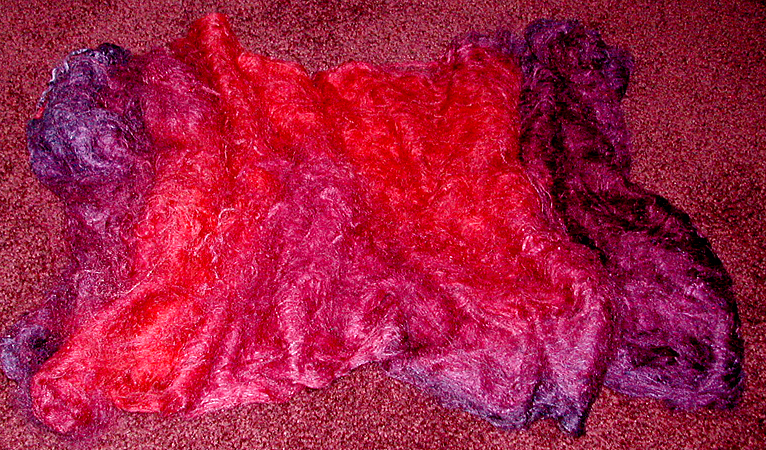 I really have no idea what the yardage will be, but I have to look to make something that will showcase this fiber. Perhaps a shawl. We’ll see. This is both laps together. This is the lap unrolled. I just know that I can’t wait to start working on all of these! 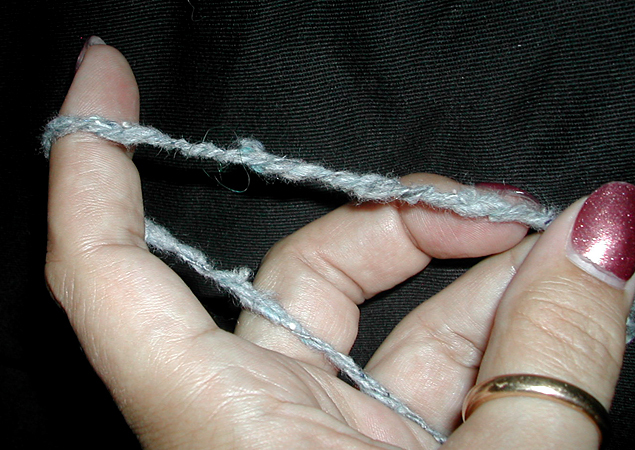 I have major project I’ve been working on quite hard that needs to be spun first before I start on the new stuff. 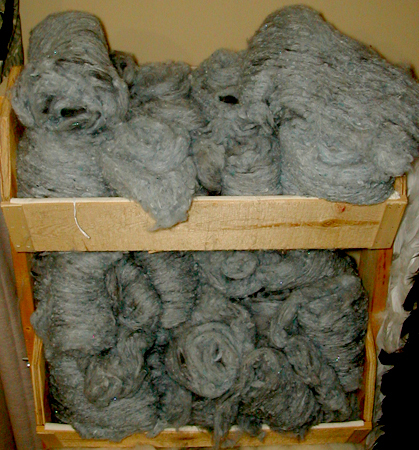 Back in September I posted about some lovely grey angora. I also had some recycled cotton denim. When I got my drum carder for Christmas, I immediately set upon blending the angora, cotton, and a bit of sparkly fiber. I’ve already spun up 6 spools, and the above batts are what I still have left to spin. I suspect I’ll have 9 more spools from what’s there. I’ll be making this a 3 ply yarn. It is deliberately nubbly as I want to make a shaker sweater out of it to match one I have nearly worn out from over loving. And on this very happy note, I think I’ll go spin!